Header image – this text not visible. It is a placeholder for the photograph that appears on the website. Office technology and the world of printers and printer consumables delivers something new every day. To many companies, sourcing and purchasing the correct cartridges and toners can be time consuming and costly, but it’s an industry we understand at TPW because it’s part of our daily life. We are specialists! We are progressive company that always strives for the best quality products and service to exceed our customers’ needs and expectations. We always aim to ensure that when customers purchase from TPW they receive significant cost benefits and ongoing office efficiencies. Service underpins our business. We know that your business can’t function if your printing consumables aren’t readily available, are wrongly delivered or are faulty. TPW offer prompt service and delivery to most locations around Australia through our network of suppliers, as well we pride ourselves on “the right advice and the right price”. Starting from a small business in 1993, TPW are now a specialist national supplier of both original and compatible printer, fax and copier consumables. We also supply most brands of printers and multifunction copiers. Every brand… every model. We carry cartridges and toners for OKI, Brother, Hewlett Packard, Canon, Epson, Lexmark, Kyocera, Ricoh and Sharp, just to name few. We are able to offer fast overnight delivery to most parts of Australia (in some cases same day). Our experienced dispatch staff will provide plenty of notice of delivery times and transport options. With a large base of existing national clients throughout Australia TPW already has the logistics in place to guarantee fast delivery to your business or home. TPW understand that no matter how good our products are its our service that makes us stand out from other suppliers. We treat our customers the way we like to be treated . . . that is with fast efficient, friendly and personal service! 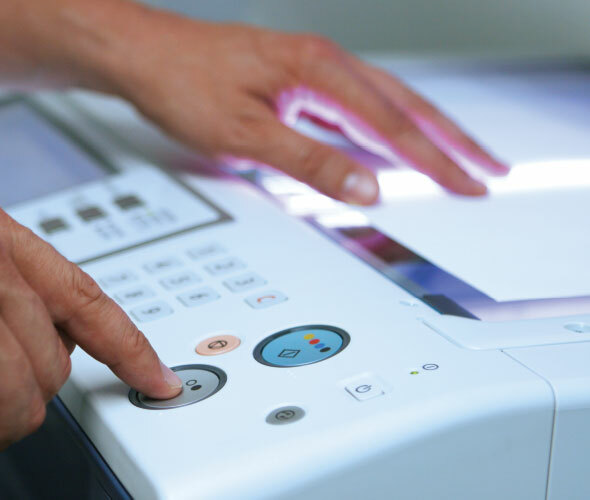 Your office printers, faxes and copiers are an integral part of your business. So when you need a cartridge or have a problem, you need it taken care of quickly. That ’s why we don’t sell white-goods or home appliances. We just specialise in office products. Our experienced staff are always available to help you and answer your questions. And if by chance we don’t know the answer we will find out! As a small and personalised retail and B2B reseller of desktop printers and cartridges The Printer Wizards offer you an excellent opportunity to join a customer focused company which values its staff. If you are passionate about sales and demand a high level of customer service we strongly encourage your application to any position that is offered. The Printer Wizards started in 1993 in a back room of the house belonging to the Managing Director with one thousand dollars in cash and a Credit Card. 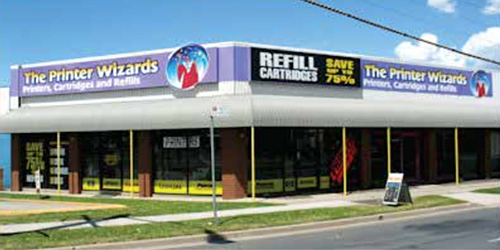 Since those humble beginnings the company has grown immensely and is now recognised as one of the largest independent supplier of printer cartridges in the respective areas of operation. Still privately owned by the founder the business operates at a very personal, one-on-one level, making it a very enjoyable and rewarding work environment for all employees.